Yogi Bear’s Family Lodge NEW! 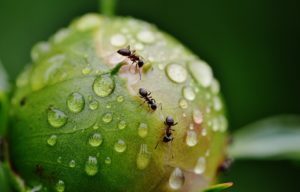 No one wants ants crawling around their RV and, with a little prevention, there are a lot of things you can do that will help keep them away. The harder it is for ants to enter your RV, the less likely it is they’ll show up. Keep an eye out for potential points of entry. If you see an opening, make a point of sealing it off. You should try to seal your windows with caulk. If you do this, it’ll be very difficult for ants to get into your RV. If your ants don’t like the way your RV smells, they’re going to stay far away from it. You should try to use lemon-scented cleaning products if you can; ants dislike the smell of lemon. Using a vinegar cleaning product is also a smart idea. You could also try spraying peppermint oil around your RV. It’ll keep ants away, and it will give the RV a fresh minty scent. If you see ants popping up in the same part of your RV, you should place a few citrus peels there. Citrus peels are toxic to the types of fungus that ants typically dine on. There are a number of things you can do that will keep ants from entering your RV. If you have an ant problem, act now. You can get rid of the ants you have now and keep more ants from showing up.